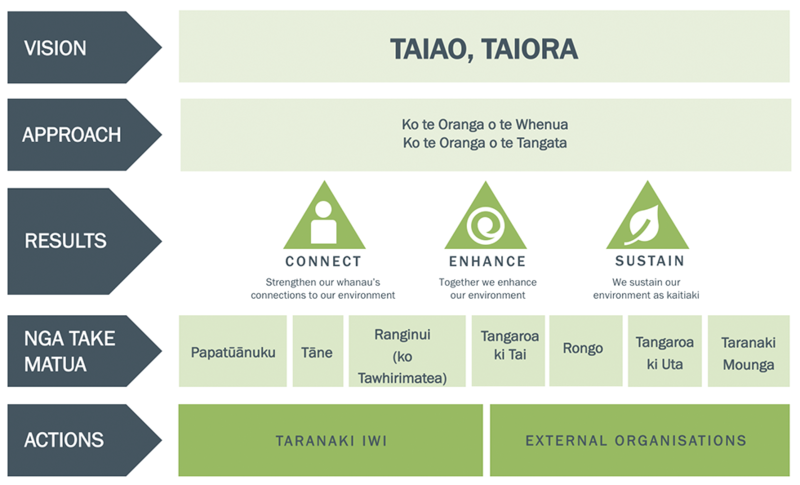 Taranaki Iwi’s approach to its Environment is contained within the Taiao, Taiora Iwi Environmental Management Plan for hapū, marae and whānau. 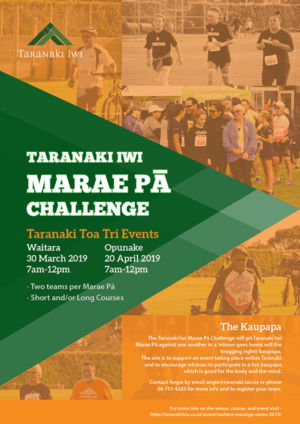 Taiao, Taiora is a guide for Taranaki Iwi and the wider community, including local and central government, and people or groups who want to undertake activities in the rohe that may have an impact on the environment. The plan contains the Objectives, Issues and Policies associated with each atua in our rohe and anyone planning activities in the area needs to comply with those provisions. Because all atua (the mounga, whenua, plants, air, freshwater, and coastal water) are interconnected by natural processes, all of the Ngā Take Matua sections must be considered together when assessing an activity. 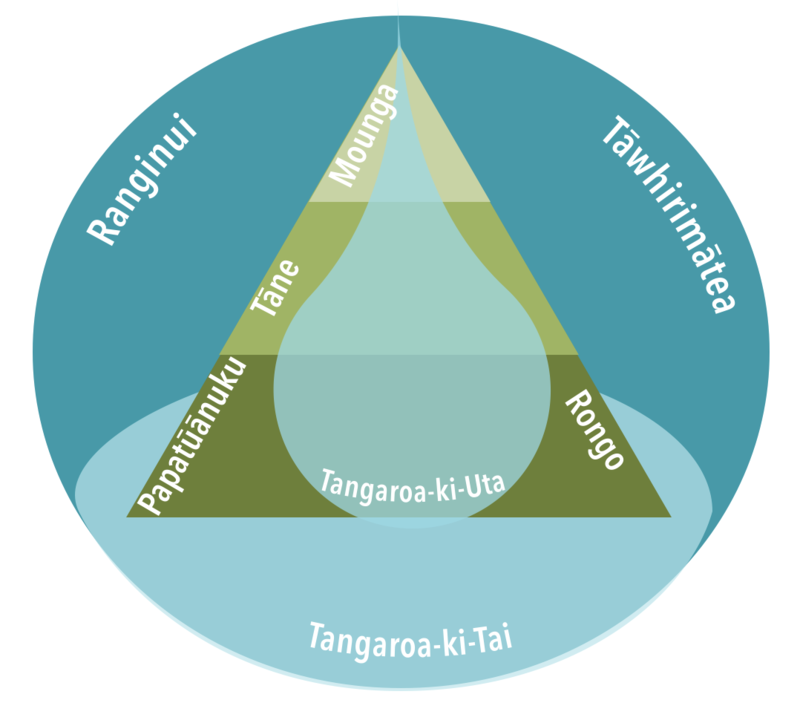 Taking a holistic atua view helps iwi and other organisations consider all of the effects (both positive and negative) associated with activities, and to understand how our Iwi views the inseparable parts of our environment. Taiao, Taiora was developed by Te Kāhui o Taranaki (the Taranaki Iwi Trust) with hapū, marae and whānau of Taranaki Iwi. It is not a replacement for face to face dialogue with Taranaki Iwi and hapū. 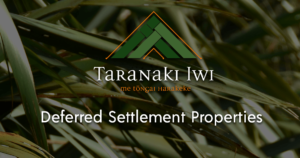 Local and central government, developers and other applicants are encouraged to use this document to inform their project discussions with Taranaki Iwi. 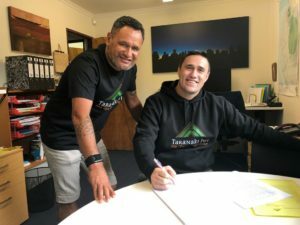 Engagement with Taranaki Iwi should start with the Trust. Kōrero with representatives of local hapū or marae will also need to occur for activities that will take place in or affect specific parts of the rohe. View and download Taiao, Taiora - the Iwi Environmental Management Plan for the Taranaki rohe.